The Kauai Rain Shower System is brilliantly simple! Designed to use your existing valve, it replaces the old showerhead with an elegant rain showerhead and multi-function hand shower. 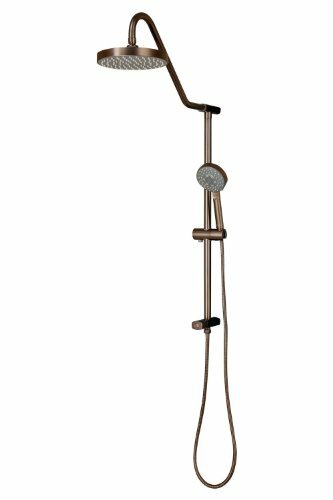 The integrated brass slide bar allows adjustable height control for the hand shower and brass soap dish while providing a conveniently located diverter for switching functions. The soothing rain showerhead and multi-function handheld can be used separately or together for a multitude of spray combinations. Available in chrome, Brushed-Nickel or Oil-Rubbed bronze to match any decor. Typical install is less than 1 hour—even for the do it yourselfer. It simply connects to the water supply at your existing showerhead location and uses your existing hot/cold shower valve. This ShowerSpa does not come with a hot/cold mixing valve, please refer to the Tru-Temp valve (Model #3001-RIV-PB) if you are remodeling and need a valve.